OK - ready for a crazy coincidence? As many of you know, I've been working for several years now on a graphic novel about the life of Canadian scientist Gerald Bull. 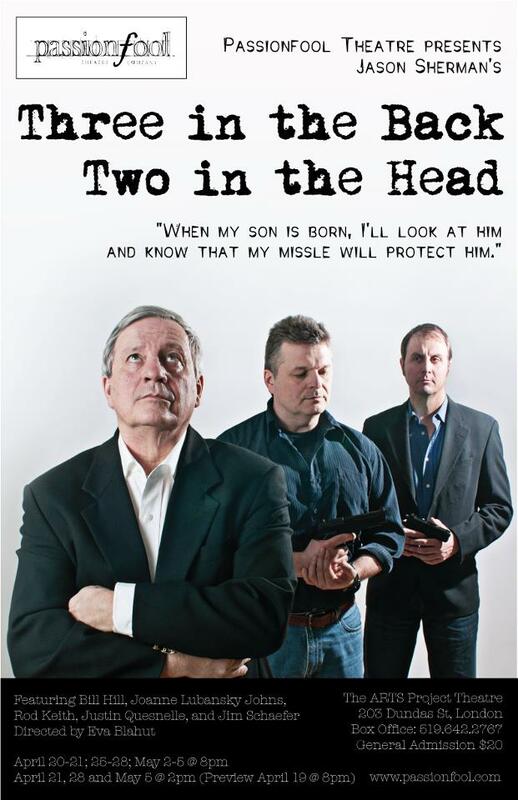 Well, Passionfool - a terrific local theatre company, is putting on the play "Three in the Head, Two in the Back" based on Bull's life. When I found out about it way back in January - I approached the artistic directors and showed them my work to date on the project. The result? They'll be using my artwork as backdrops for the set! I also created an original piece just for the production. They specifically asked for a portrait of Bull as a young man in his happier days. 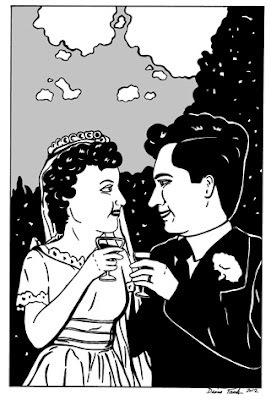 In my view, Bull only really came fully alive when he met his wife Mimi, so the portrait had to be with her on their wedding day. Here it is. "Jason Sherman’s celebrated and fast paced thriller about a man brought down by his own illusions and the treachery of Governments. Inspired by the real life murder of Canadian weapons scientist Gerald Bull, THREE IN THE BACK, TWO IN THE HEAD grapples with the elusive nature of truth as the action of the play shifts across conflicting versions of the past. Winner of the 1994 Governor General’s Award for Drama." I've only read the screenplay and have never seen a live production. I also haven't seen what my artwork looks like blown up in the sets. I'm a bit nervous, but I'm really looking forward to it! If you're in the London area, I encourage you to check it out. For the official opening night - Friday, April 20th, everyone in the audience will get a free copy of "The Paris Guns", the mini-comic of the first chapter of my Bull book. The play runs from April 19th - May 5th, at The ARTS Project. >> For full information, check out Passionfool's website. That is so awesome Diana! Congratulations!